Ellen Elizabeth Haynes, age 69, of Ashley, MI, passed away peacefully Saturday, March 30, 2019, at Ashley Care Center. Funeral Services will be held at Smith Family Funeral Homes, Elsie, MI, at 11:00 A.M. on Tuesday, April 2, 2019. Visitation will be held Monday, April 1, 2019 from 4-8 P.M. at the funeral home. Ellen was born in Owosso, Michigan on March 14, 1950. She was the daughter of Harry and Mildred (Bishop) Evans. She graduated from Elsie High School. 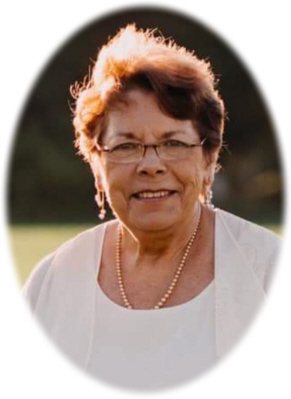 Ellen was passionate about her family, especially her grandchildren and great grandchildren. She enjoyed making crafts and going to garage sales with her cousins and friends. Ellen loved music and singing and requested that her service be filled with music. The family would like to give a special thank you to all the family and friends who assisted Ellen during these last few years. Ellen is survived by her daughters: Robin (Patrick) Cordray of Ashley, MI; and Mandy (Ben) Swinson of Midland, MI; 5 grandchildren: Courtney (Brian) Polash, Brittany (Caleb) Marr, Tyler Cordray, Stephanie Cordray, and Lillian Swinson; 5 great grandchildren: Adalyn, Kayleigh, Logan, Emeline and one on the way; brother Mark (Amanda) Evans, half- brother Rick Fowler, half-sister Donna (Brian) Zelner, half- brother Timothy Saunders, and foster brother Richard McKinley. Ellen was preceded in death by her parents, and her brother David Evans. Memorials may be made to wishes of the family. Online condolences can be sent at www.smithfamilyfuneralhomes.com. The family is being served by Smith Family Funeral Homes, Elsie, Michigan.